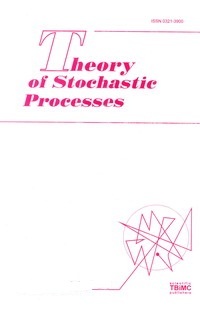 The journal “Theory of Stochastic Processes” was founded originally by I.I.Gikhman in 1973. Since 1995 it is published in English by the Institute of Mathematics (Kiev), the Institute of Applied Mathematics and Mechanics (Donetsk), and the Scientific Publishers “TBiMC”. Twenty volumes of new series of the journal have been published since 1995.